In April .No released his latest program for Concertzender. As he has a fundamentally broader taste in music than Wo. has, the latter picks up the challenge once more and turns a fresh ear to the music the former played on his show and shares his thoughts with all interested. So let us turn to the meditation on music called Kairos. After the usual, dark voiced intro, harp notes are played and my first guess is: Anita Frenks. She is joined on 'Lullaby' my Merel Moelker on voice. Still writing my intro a piano joins the song and I'm thinking, 'I can't remember a piano on this song' and half way notice that .No did it again, fooled me into another song without really noticing. 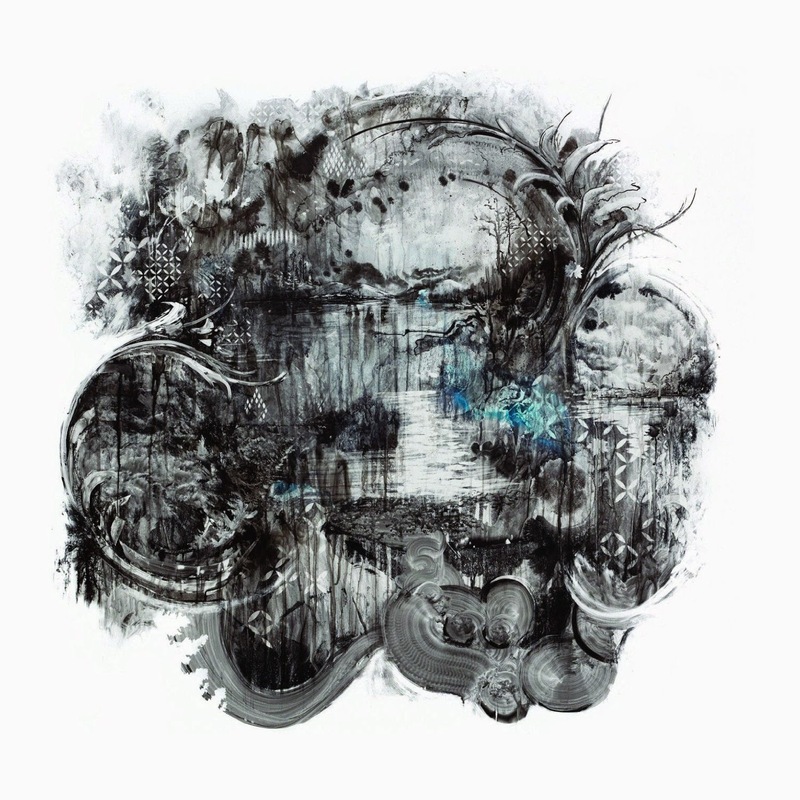 Frenks' 'Lullaby' is a short, elementary song of certain beauty, but dwarfed by the grandeur of the piano playing of Lubomyr Melnyk in 'The Six Day Moment'. My guess is that the title alludes to the creation of human life on the sixth day. If anything the composition sparkles with life. The trilling high and low(er) notes span the whole of creation. The sparkling starlight, the warmth of the sun, trickling of small brooks, the wind in the leaves and bustling animals and playing mankind. Melnyk spans it all in this beautiful work. All is in rest and well, ready for the seventh day. Luckily the piano composition does not look beyond that day. Next up is a poem. A few lines read in that dark voice of the announcer. The poem is by Anita Frenks as well and breaths the same tranquillity as 'The Six Day Moment'. The music continues with another Snowstar Records artist, Kim Janssen, who we were acquainted with a few months back. 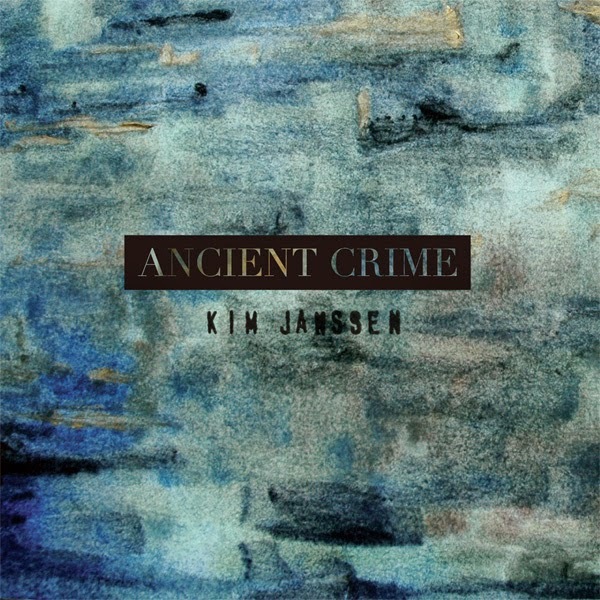 His song 'Casket' from the album 'Ancient Crime' is light with moody overtones. It doesn't let itself be captured easily. 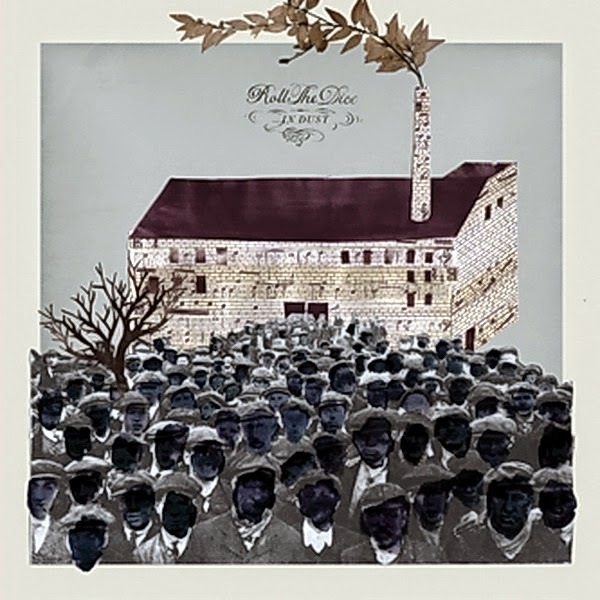 'Casket' reminds me of the way Bonnie 'Prince' Billy' records his songs. Double tracked vocals, sung a bit slurred and a prominent acoustic guitar, while all else seems almost accidental. Which of course it isn't as all is in its right place. 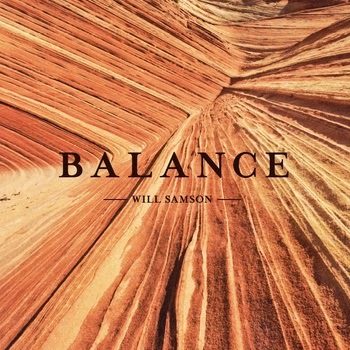 Things get a bit more mysterious with Will Samson's 'Dusty Old Plane' from his album 'Balance'. Electronic background sounds, some synth notes and chords over which Samson sings with a high and higher voice. If there were any monks left composing Gregorian chants they would probably sound like this and cross out that line of no music, singing only with ease. This certainly is not my kind of music, but I hear the inner beauty that must have caused .No to let it enter his hemisphere and share it with all of us. Hans Kockelmans' 'Prelude 100, voor Liesbeth' gives an insight into the musical prowess of this composer and guitarist from Limburg in The Netherlands. Being regularly featured on Kairos, Kockelmans gets an exposure his playing definitely deserves. His 'Prelude 100, voor Liesbeth' sounds traditional, with enough space created in the recording for the guitar to sound full without over-doing anything. The rest and quiet of the composition gives the listener the impression that all is well. What I'm hearing next is the uncanny and estranging music that sounded in the first 'Heimat' movie/tv series. Those short outburst of notes that always sounded so strange. Ólafur Björn Ólafsson in the partly broadcasted 'Heaven in a wildflower' starts that way, before Ólafsson lets the wildflower grow and blossom. 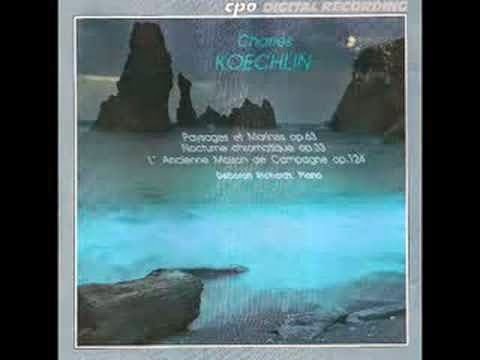 The snippet of the composition transcends into the piano of Deborah Richards, who plays Charles Koechlin's 'Sur la Falaise' from his work 'Paysages et Marines, op.63 pour piano'. Before I've settled into this work, the estranging sounds of Giardini di Mirò's '8' are already working on me. Things change so fast that it's near impossible to form an opinion. '8' from the album 'Il Fuoco' is longer. Totally experimental and otherwordly. The piano at times sounds like the piano in '2.000 Light Years From Home', from the days The Rolling Stones were tripping on acid. That is the only comparison possible between the two songs though. Voices create a background hum over which atmosphere and a sparse, loose piano note is let loose. Percussion pounds away, seemingly disconnected from it all. The 'Heimat' connection returns with altosaxophone played by Ton Verhiel in Gerard Sars' 'Chroma, opus 66,1, for altosaxophone and organ', the latter played by Sars himself. Again I'm compelled to think 'What am I hearing'? The organ plays chords that seem almost disconnected from Verhiel's playing and still work together, but at the total edge of what is harmonically possible. For someone who loves a perfect popsong, this is hard to listen to, but fascinating none the same. .No does his trick again as 'Chroma' blends into atmospheric hiss and other sounds that are hard to comprehend. 'A fading found' it is. Something is out there, but I don't know what it is. This music could be in that recurring nightmare of my past days. The one that I was desperately looking for someone or something, that slowly turned into me being chased by something or someone unknown to me. One of the most common dreams, it turned out to be. 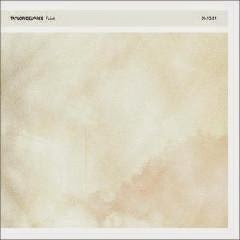 Taylor Deupree slowly lets in gamalan sounds into his 100% electronically created music. That is looped and lets in small new sounds, creating an ever thicker sound that kind of grows on me. Still I can't help thinking, why does anybody want to make music like this? Followed by a second one: Why would anybody want to listen to it? There's no front, no end and just eternal inbetweenness, like I picture heaven to be on the basis of Middle Age paintings: the endless nothing, with millions in the lap of Abraham. A true hell in other words. 'Chroma' is so not me, that I sort of shudder. In other words Deupree's music has a real impact and makes me feel very much alive. Well done! Next up is a Sax on guitar. Cees Sax plays a piece called 'Valse sine nome' by Baden Powell de Aquino, the Brazilian bossa nova guitarist. Sax plays the composition in a very laid back style and makes it come very much alive. The warmth coming from the guitar is a relief after 'Chroma'. For years I've heard about the German band Einsturzende Neubauten, even saw them hammering away on anything that could be hammered on a long time ago on t.v. In 2015 I finally get to hear music by the band with the members with exciting names like N.U. Unruh and Blixa Bargeld (also know for his work with Nick Cave). 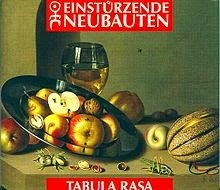 In 'Blume' from the album 'Tabula Rasa' the music is fairly conventional, certainly after what we have been presented with this Kairos. Anita Lane sing-talks herself through 'Blume' accompanied by a listless "la-la-la". Violins, guitars, percussion and electronics come by. Actually it makes me want to check out this album as a whole and I will soon. Before I knew it we were already nearing the end. Again total estrangement. Roll the Dice is the Swedish duo Malcolm Pardon en Peder Mannerfelt. From its album 'In Dust' we get to hear 'Black thirty'. The two combine electronics with synthesizers and a piano. At least there's a hint of a chord progression that could, should the duo so wish, be turned into a "real" song. Enough to hold on to and follow through the five plus minutes 'Black thirty' last. After one hour the April Kairos is all over. Next month I discuss May. Rumour has it that Broeder Dieleman makes another appearance and that Bonnie 'Prince' Billy may make his first on this programme. Read all about it next month.